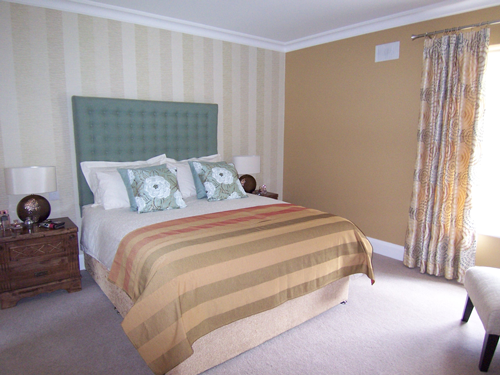 Contemporary home remodelled from a dark, knotty pine panelled space. 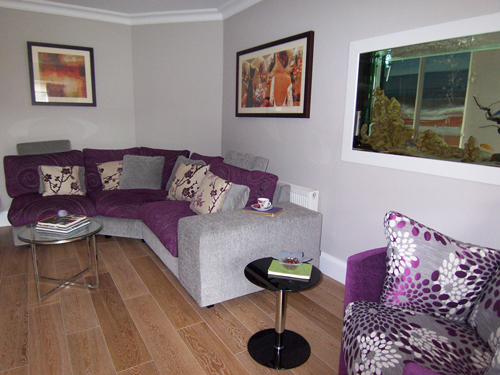 The space was dark and now has more light and colour. 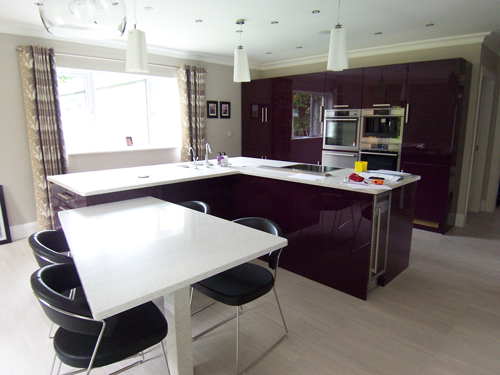 The new kitchen offers a better place for cooking and enjoying meals. 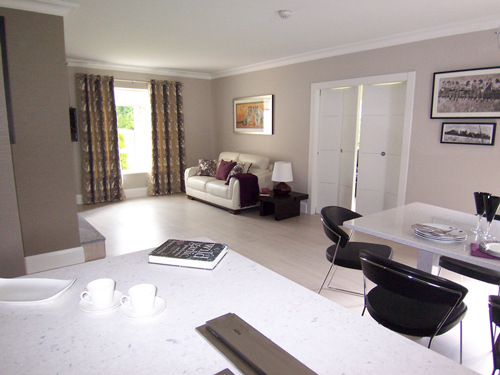 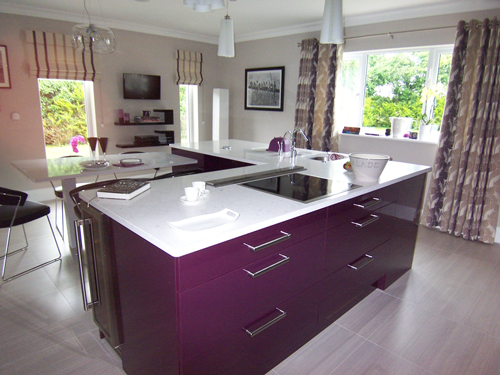 The scheme of the bold purple kitchen is carried through the main living areas in the soft furnishings. 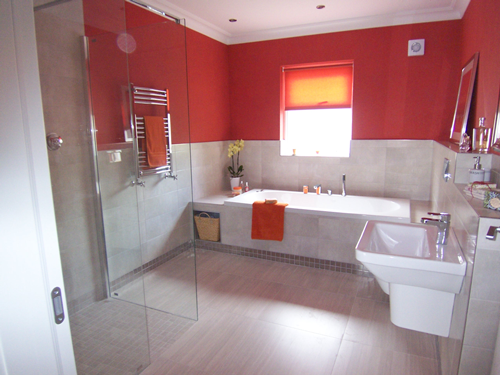 The main bathroom and the bedrooms were also upgraded to give a more contemporary and light filled feel to the rooms.